Depositions are vital in legal system. Therefore, we can help you preserve the evidence with accuracy and speed. Are you inundated with pending deposition? Are you understaffed to carry out deposition transcription in-house? Usually, trained and experienced courtroom reports work on recording depositions given by witnesses and observers who are not able to come over in person because of the nature of the trial. Transcripts of such depositions need to be perfect in terms of verifiable information, zero miscommunication, and no typos. At Outsource2india, we provide highly accurate deposition transcription services which ensure attorneys can meet the court deadlines and move the case forward. Our turnaround times range from 24 hours to 5 days, giving your law firm and your attorneys enough time to build your case. With over 20 years of know-how, we have worked with law firms all around the globe and understand the deposition process inside-out, helping you benefit greatly from our experience. Oral depositions are the most common types of deposition. Once the witness is subpoenaed by the court and everyone is available, the deposition is recorded in front of officials who can authenticate the same. The quality of oral deposition depends upon the recording quality, and we ensure we can provide a verbatim transcript in as short a time as possible covering everything that was spoken on tape. Our experienced transcriptionists leave out all the audio clutter and can provide high-quality transcripts devoid of any mistakes so you can immediately make use of it during the trial. While uncommon, written question depositions are used when the legal team wants to set a story in motion and needs definite answers to a set of pre-decided questions which they need to ask from the witness giving the deposition. 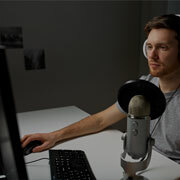 Transcribing such written questions depositions take longer since along with the audio, the written answers also need to be considered, and present in a coherent way for the trial. We ensure all the transcripts are worked upon based upon the format suggested by you and deliver the finished results within your requested turnaround time. Sometimes, based upon the requirements of the trial, lawyers can request a chart format summary transcript which is presented in a continuous fashion and is necessary for quick identification of the subject matter in question. Chart summaries need to be pinpoint and exact and require prior skill to create. Our legal transcriptionists possess the right aptitude and the experience to work on this requirement and deliver a complete package in a short time. Legal practices and requirements often differ case to case and may employ a custom deposition format which might not be prevalent, but still within the rights of the legal team. 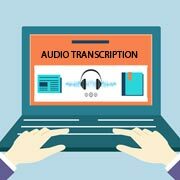 Our team of transcription professionals can help transcribe such custom requirements form our clients daily. Our team can work on all the court hearings taking place during the deposition as well and provide a succinct transcription report with easy demarcations for you to make out who said what just by glancing through it. Why Should You Outsource Deposition Transcription Services to O2I? When it comes to recording hours upon hours of depositions correctly, verbatim transcriptions are extremely important as they help to convey the proceedings as they happened and as the witness whose recording you provided us. Verbatim transcriptions are our hallmark because we are ISO 9001:2015 accredited. Therefore, we present them without any glaring errors for you to use during the trial. When dealing with sensitive legal documentation which can make or break a case, we understand how our clients place extreme importance on data confidentiality and security. Our ISO 27001:2013 accredited data security measures are par none, as we ensure 360-degree protection of your confidential recordings and undertake the transcription process of highly secure hardware infrastructure. This includes using 256-bit AES encryption, two-factor authentication for logins, password protected file exchange, etc. All the files are transferred using secure FTP channels, and our clients can manage the entire document repository using highly secure document management systems. Our internal quality parameters are extremely stringent, and each transcript goes through 3 layers of QC before finding its way to you. We understand how important deposition documentation and transcripts are for you to build your case properly, and our turnaround times reflect that attitude. Working with us ensures you never have to worry about seasonal downtimes and paying wages to a non-working staff. It also ensures that heavy workload never leads to delayed projects, as we always have extra team members to cover the extra work. Our pricing is exemplary in its simplicity, and we have zero hidden charges like our competitors who end up charging for headers, special notes, etc. We provide a dedicated project manager who will liaise with transcriptionists to bring you updates and reports on time. Get personalized support without being put on hold. Our team of legal transcriptionists has the right combination of education and job skillsets required to transcribe heavy legal audio tapes with more than 97% accuracy. To transcribe depositions correctly, our professionals have an in-depth understanding of the legal language, grammar, and terminologies which ensures they can easily understand technical conversations as part of the deposition. This makes us one of the few deposition transcription services providers out there whose transcriptionists work at more than 250 wpm for depositions while maintaining more than 97% accuracy. Whether you would require the transcripts to come with time-stamped passages or notes which can help you find relevant portions easily, we have got you covered. We have the infrastructure and the bandwidth to accommodate your dynamic needs. Leverage our high-speed secure FTP servers to upload all your audio and video files that you would like to be transcribed. It's that easy! All our major recurring transcription projects have a dedicated project manager who serves as your sole PoC, and for individual projects, we ensure you can reach out to the project lead at any time. At Outsource2india, we understand the significance of high-quality deposition transcriptions and how they can affect the case and your reputation. 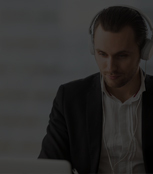 Being the world's best transcription services provider our team of expert legal transcribers can provide you with fast, accurate results while ensuring you can focus on building the case in as efficient a manner as possible. Working with us is as simple as clicking the button below, so what are you waiting for? Outsource deposition transcription services right now! Contact us for a quick quote and discover how we can assist you with deposition transcription services.